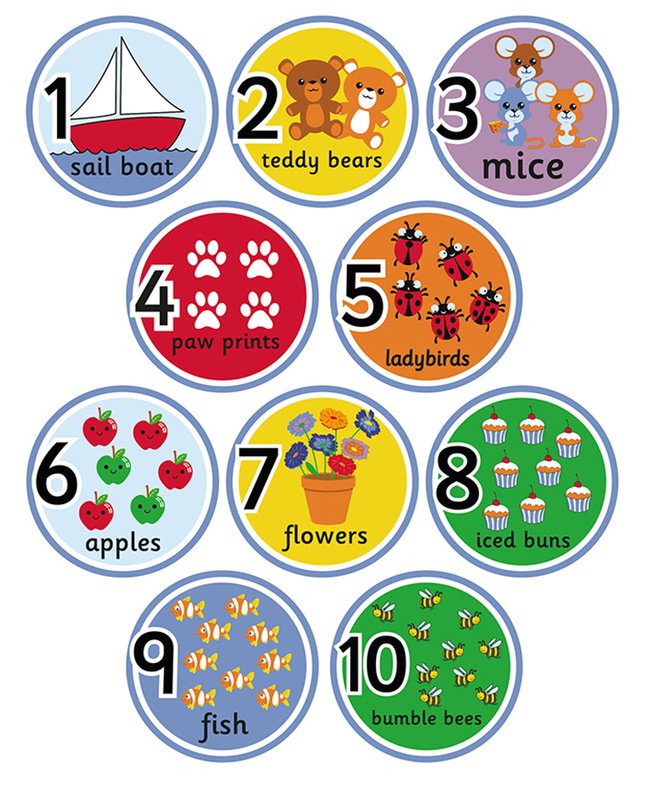 Set of 10 number mats which feature fun and engaging illustrations. Designed for use in schools, pre-school and nurseries. The bright and colourful designs are perfect for interactive counting games and help towards Key Stage 1 Numeracy education in schools. Each circular cut pile number rug benefits from triple felt backing and double stitching. They include a locked in anti-microbial feature for improved durability and cleanliness. 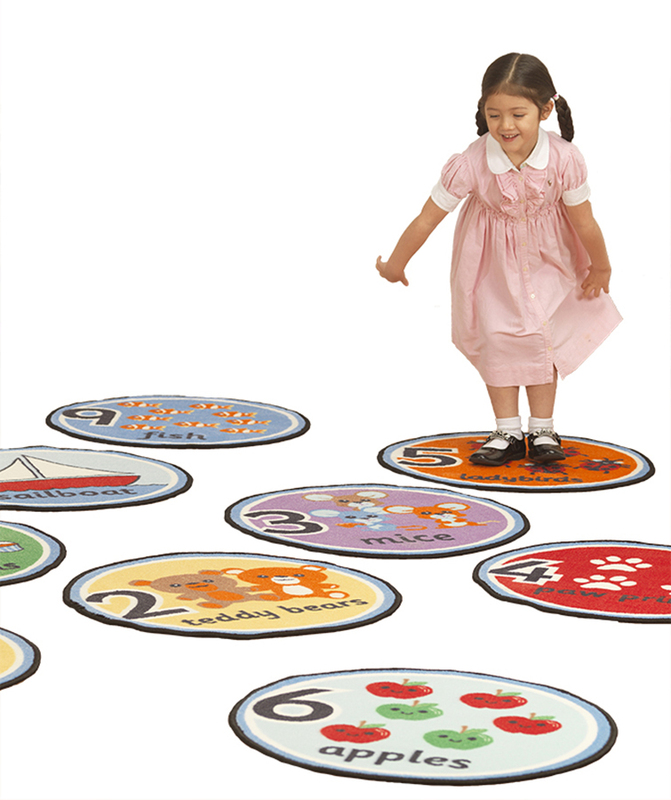 The set of 10 number mats have been designed to make learning fun.